STORMTROOPERS have a softer side. 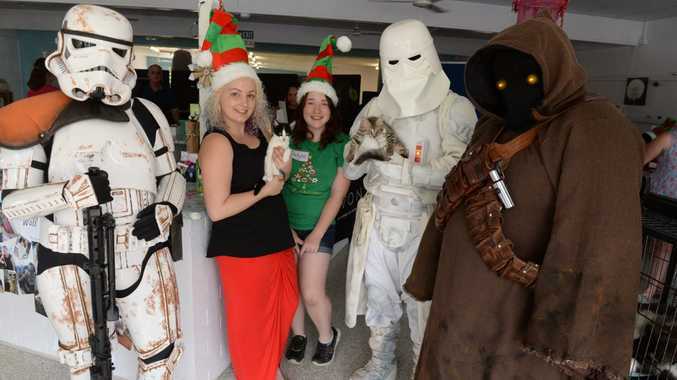 That was clear at the Cat Connections Pet Adoption Day on Saturday when the Bundaberg charity was joined by a group of larger-than-life Star Wars characters as part of a drive to find homes for unlucky cats. "It's the third adoption day we've had and by far the most successful," Cat Connections founder Kate Jackson said. "We had 7 adoptions and raised a thousand dollars." Snow Troopers, Sand Troopers and a spooky Jawa stroked tabbies and strays at the Alliance of Community Enterprises building on George St as members of the Redback Garrison - 501st legion, a not-for-profit group who attend a variety of charity events. Garrison member Phillip Price and his wife Melanie are cat lovers, Ms Jackson said, and were only too happy to help. It's a cause close to Kate Jackson's heart, with the Bundaberg resident opening her home in April this year as a nursery for sick, injured and homeless cats. She started by taking cats on "red collar rescue" or death row from Bundaberg pound and soon became indundated. She now has a network of 15 volunteer foster carers who between them care for around 70 cats of all ages. "We don't deal in designer cats - these are cats that have had rough upbringings and rejected by society, basically," she says. "They're all raised in a family environment which makes them more adoptable." Many of the cats Ms Jackson takes in have cat flu, a common disease in Bundaberg. With support from North Bundaberg Vet, they are desexed, microchipped and immunised, ready for a new home - often after being nursed back to health. Bundaberg isn't a safe place for cats, Ms Jackson says. "People make more of a fuss about a dog than cats. It's not safe for cats to be outside - they get run over, and people are also trapping them and using them as crabpot bait, and that's not being policed," she says. "Giving away free kittens online is virtually a death sentence. There was a need for someone to do something about it." Desexing and microchipping is also difficult to police, according to Ms Jackson. "There needs to be some sort of reform for mandatory desexing and more support from council. "It needs to be enforced - right now, council doesn't have the staff to enforce that." 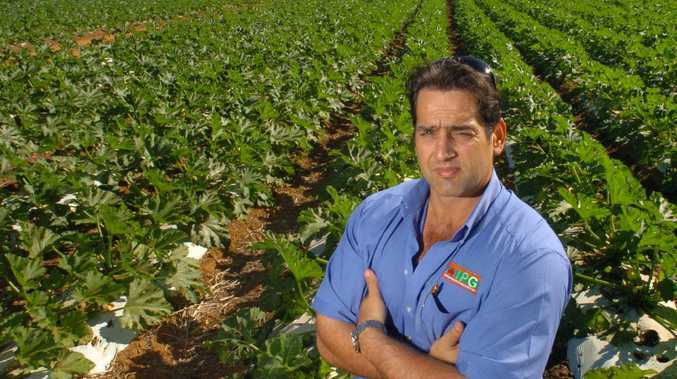 Five animal protection staff currently operate between pounds in Bundaberg, Childers and Gin Gin. More than 300 people came through the doors at the adoption day, a "phenomenal" turnout according to Ms Jackson, with many taking the opportunity to grab a photo with the Star Wars characters. The Redback Garrison is part of a worldwide network of more than 7,000 volunteers, and is the largest group in Australia with around 140 members. They are Lucasfilm's preferred Imperial Costume Group - meaning they are the most authentic Star Wars troopers you can get. The money raised on the Adoption Day will go towards vital costs, and donations of practical items such as cat food, litter and bedding were also welcomed. "We're paying off a huge vet bill - right now we have seven babies that need to be desexed and vetted to make sure they're healthy," Ms Jackson said. Two more volunteer foster carers also signed up on the day. To donate money or practical items, or to become a cat foster carer, contact Cat Connections on Facebook or donate directly at the North Bundaberg Vet.